As 2012 comes to a close, I thought I'd share with you what my favourite products were from Etsy! I've also included some items that I'm thinking of purchasing in 2013. I bought a few samples from BadBitchCosmetics earlier this year and it's definitely one of my favourite makeup brands from Etsy. The samples come in clamshells (about the size of a quarter) and come with enough eyeshadow for 4-5 applications (probably even more). They are very smooth and have great pigmentation. The lasting power is great, especially when used with a primer. 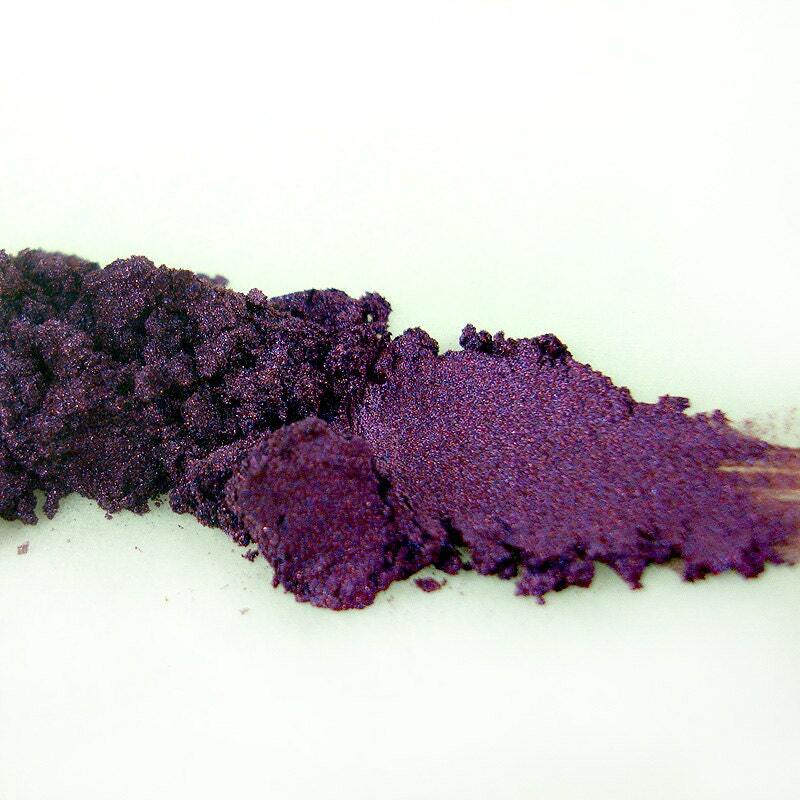 Another favourite brand of mine, Performance Colors has been an up and coming makeup brand on Etsy over the past year. 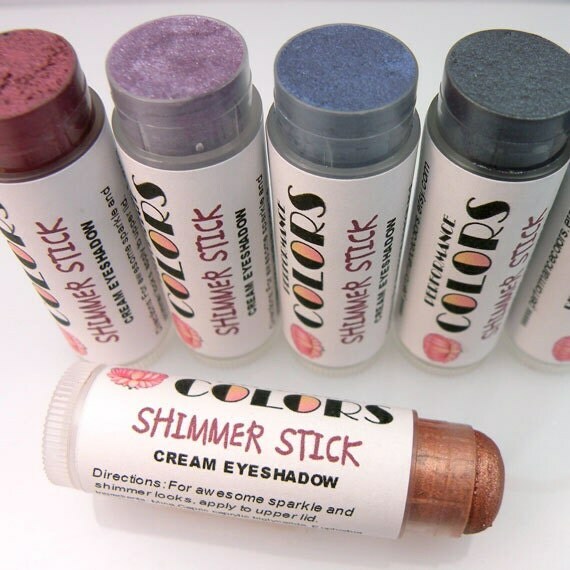 These Shimmer Sticks (formerly known as ColorPots) are one of my favourite cream eyeshadows to use. 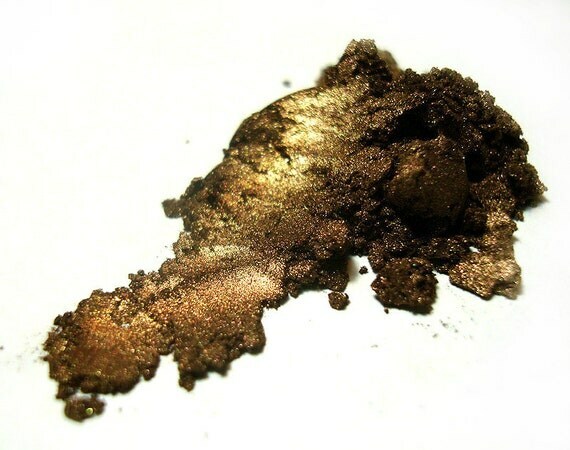 In some cases, they surpass the quality of higher end cream eyeshadows. There are many colours to choose from and they work great as bases and on their own. 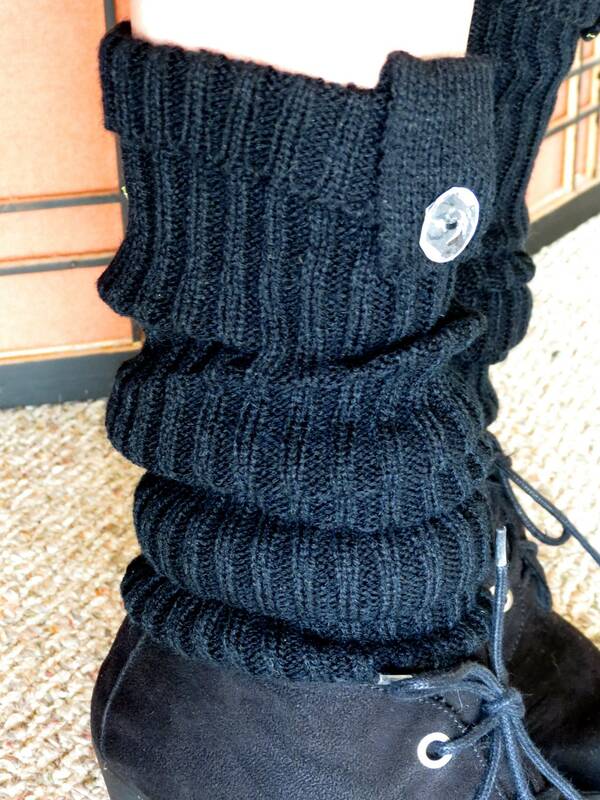 I just ordered these leg warmers for my sister for Christmas. 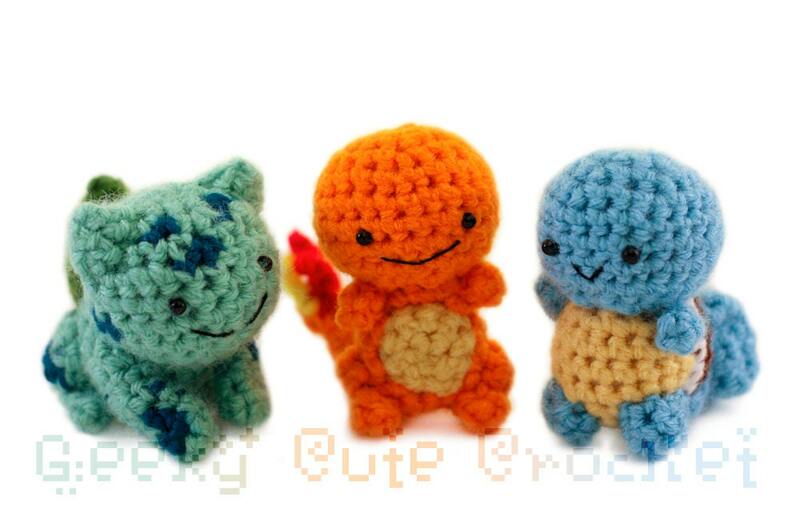 They are a perfect addition to any pair of books and come in many designs and colours! These are great to wear in winter or whenever it's cold. I'm looking forward to trying out this blush from MadisonStreetBeauty! This store has a lot of mineral makeup products and a huge following on Etsy (over 11,000 admirers!). Stay tuned this January for a giveaway from this shop! 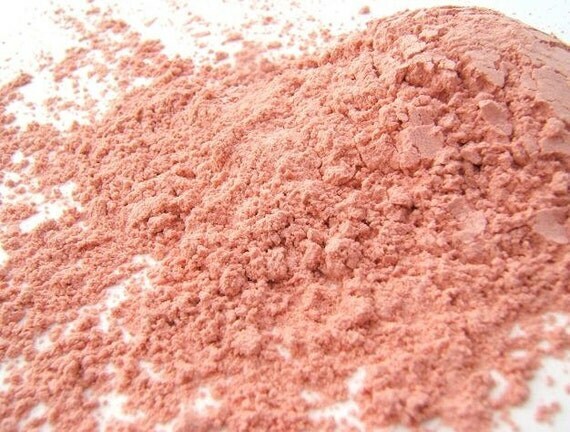 This is one of many eyeshadows from BadBitchCosmetics that I'm definitely going to purchase in the new year! Hand-mixed nail polish has exploded on Etsy and the nail polishes from Spectrum Cosmetics will be the first ones I try. This one in Dark Matter caught my eye. 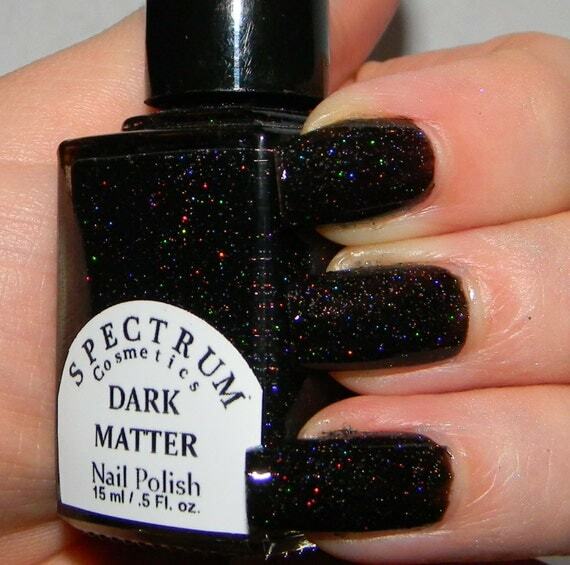 It's black with holographic glitter.